Survive! 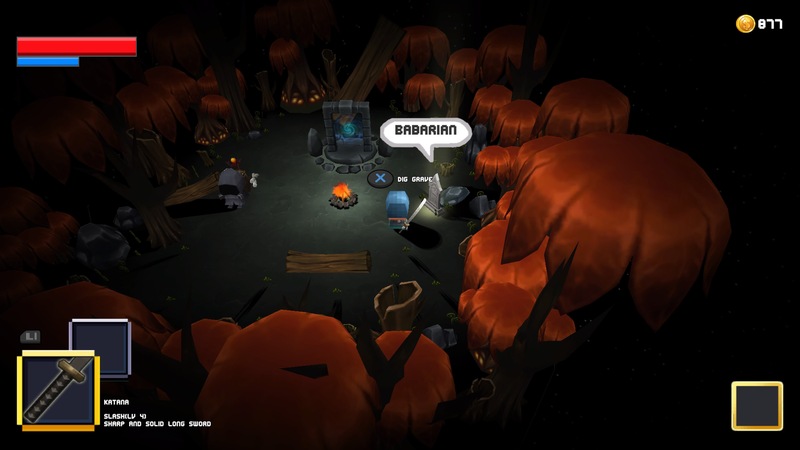 Mr. Cube is part of an indie genre of cartoon-style survival games like Don’t Starve. 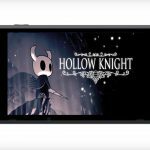 Will this new game in the niche genre be able to grab the attention of gamers in the dry summer release window? The game’s story is delivered in text format via still cutscenes, but there was a problem with this as the first letter of each sentence of text was cut off by the edge of the screen, which detracted from the experience a little bit. The story is a little confusing, but it is all about the combat and leveling up your little cube man. 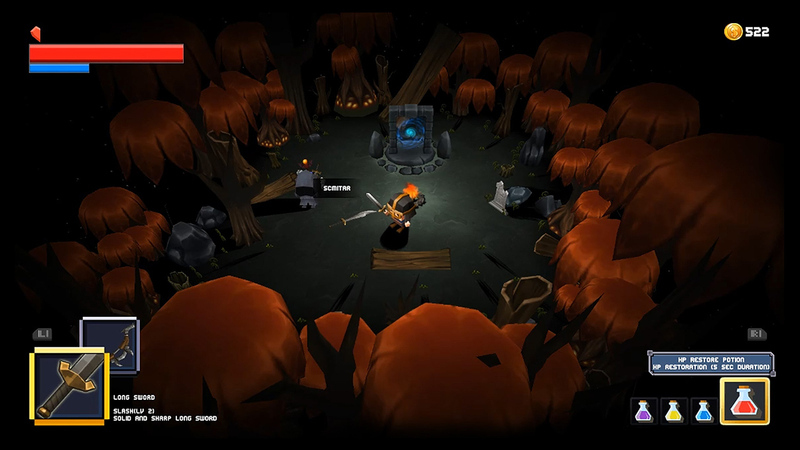 The main part of the gameplay is tackling the many randomly generated monsters that appear throughout the world. There are also random bosses that will just pop up whenever and wherever you are. At first, the bosses are challenging, but as you get higher up in the leveling system, which is done in many different ways, they become more manageable. I found a majority of the stamina upgrades in the chests all over the world, same with the health upgrades. Weapons are also found by knocking around the environment and as you progress in the story. Playing Survive! Mr. Cube is also a great way to add to your trophy count. After playing the game for only 15 minutes, I had already unlocked 40% of the game’s trophies just by running around, interacting with and attacking absolutely everything in sight. The game’s art style is one that is very beautiful to look at, in its own special way. The characters might only be cube-shaped people, but they are all well designed, and it is easy to determine what chest is what and which enemy is which. There is a mix of other sword-based enemies, but there are also axe-throwing enemies and magic enemies as well. At certain points the game did chuck tonnes of enemies on the small screen at one time, which did become very overwhelming and made the game’s difficulty feel cheap, especially in the early part of the game when you are very underpowered. The combat can become a little stale after a while, especially since you have to worry about your stamina bar whilst attacking enemies, which can become an annoyance, especially when the enemies start piling on. Supposedly, Survive! 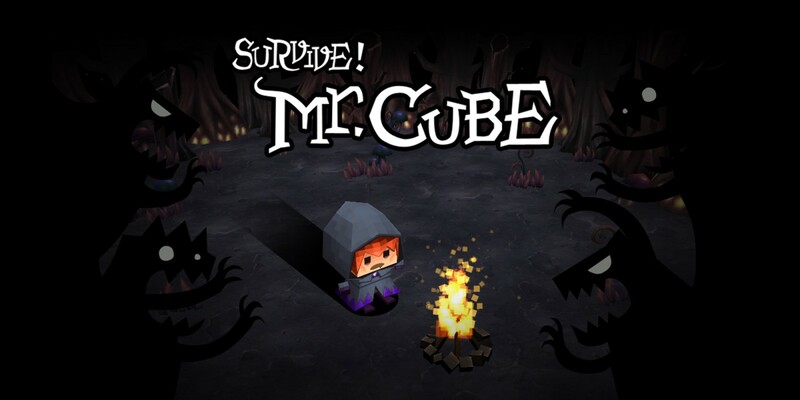 Mr. Cube comes with the option to play with other people in co-op, (at least that’s what it says in the PS Store), but in the entire time I played this game, I did not encounter any other friendly cube men. Whether this is down to the small player base or because I was playing at a time of day when not many other players were online is unknown. I was also able to breeze through this game in only a few hours, though I didn’t explore every single tower or open every single chest. In summation, this game does fall into that weird void where it does not quite live up to other games in the genre, but it is fun in short bursts. Though now that I have completed the game, I don’t feel an urge to play it again, despite the world being randomly generated. 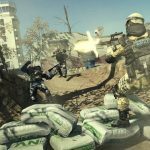 It is better than those store fillers that you will find knocking around the PS and Steam stores, so it is worth a go if you enjoy this genre of games.